Farrar, Straus and Giroux, 9780374529505, 80pp. to us, and make it more, more than we are, more even than itself. The awards given to C.K. Williams' two most recent books--a National Book Award for The Singing and a Pulitzer Prize for Repair--complete the process by which Williams, long admired for the intensity and formal daring of his work, has come to be recognized as one of the few truly great living American poets. Williams treats the characteristic subjects of a poet's maturity--the loss of friends, the love of grandchildren, the receding memories of childhood, the baffling illogic of current events--with an intensity and drive that recall not only his recent work but also his early books, published forty years ago. 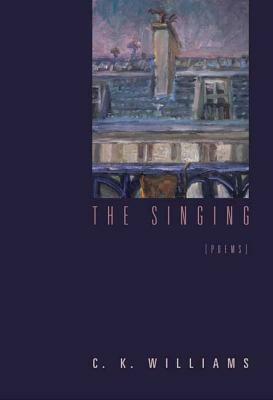 The Singing is a direct and resonant book: searing, hearfelt, permanent.